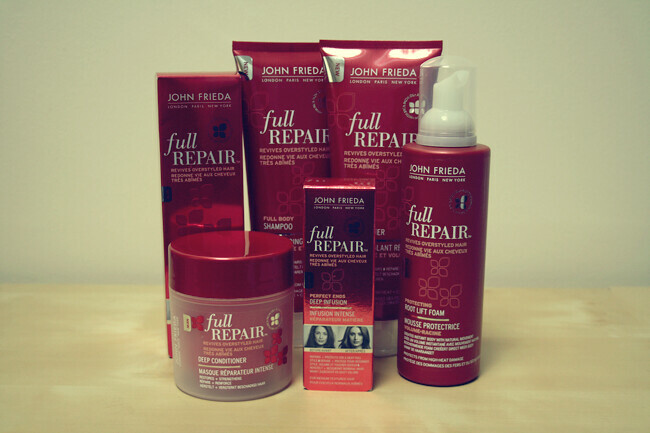 I'm a massive John Frieda fan and I’ve been using nothing but their hair products for years. 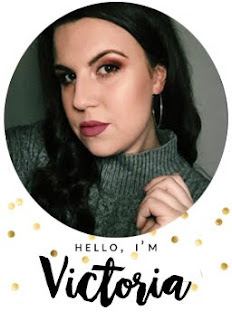 I totally swear by their brilliant brunette collection and thought it was the holy grail of shampoo and conditioner, but that was until this ''Full Repair'' range came out which has totally changed my hair routine. I know sometimes when a beauty product comes out it promises you the world and just doesn't live up to the hype, but with this collection you can totally believe it. As much as I love the brilliant brunette items, I think you could say my hair got used to them and it didn't leave my hair in the condition that it used to (I didn't realise until I used the full range products). I've been using nothing but these items for the past couple of months and it's put my hair back in a brilliant condition, it feels soft, nourished and well looked after. deep infusion gel through my hair when it's still damp takes away any kind of frizz and gives my hair a silky look/feel. I try not to use hair spray on my hair, so using the Styling spray is a good alternative as it keeps a hold on curls without being heavy. This collection is really fantastic and I’ve been recommending it to everyone. It's well worth the money and I can promise you won't be disappointed! Have you tried this collection? What do you think? Popped my review up yesterday. I liked the range, bar the root lift foam, found it a bit of a nightmare product. The deep infusion is fab, as is the deep conditioner. No but it's very liquidy and it's like it doesn't stay on the hair, weird. I've used this but found my scalp getting a bit irritated? I'll have to give it another go just to see of it was some other styling product cos John frieda usually works a charm on my hair! I seriously want all of this! My hair is ridiculously dry at the moment from far too much styling & backcombing, and this sounds like it would be a lifesaver! XO. I, too, am absolutely in love with these products! With my frizzy, unmanagble, uncontrollable, hair this is the perfect remedy for me! I reccomend it as well! My hair breaks easily and all the time and it stopped growing some time ago. Well I think it still grows but I lose the tips of my hair the whole time. I think I should try some of the products.. I've been using John Frieda Sheer Blonde but after running out of that I'm now defo thinking I'm going to pick up some of these products. Thanks for the review! I'll definitely have to try some of these - after dip-dying my hair the ends need some TLC!